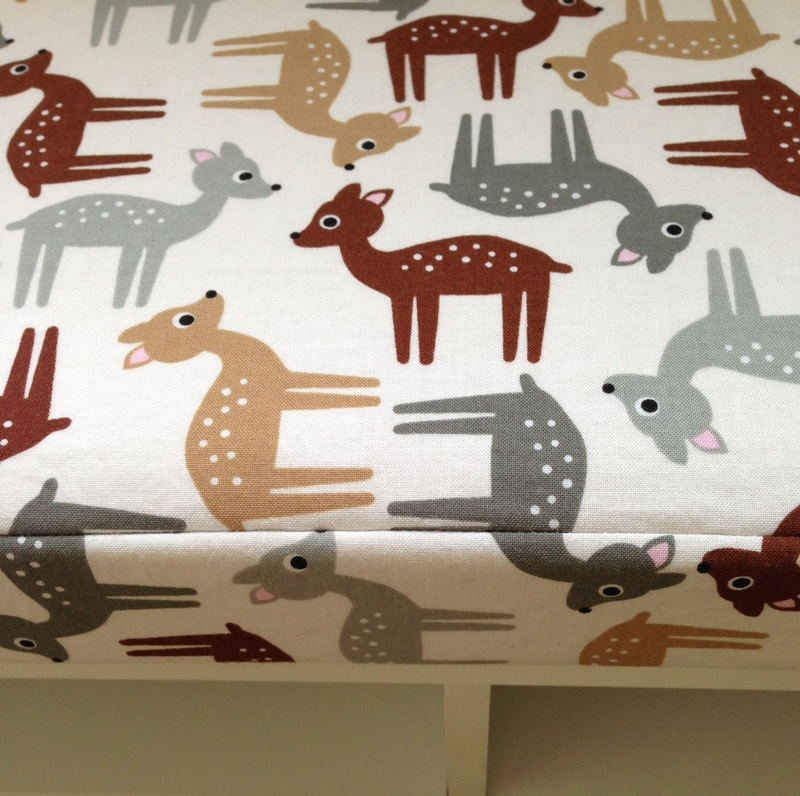 This weekend I finished making fabric covers for my storage bench cushions. I got the Martha Stewart storage benches and bins from HomeDecorators.com during a sale last Thanksgiving, but thought the accompanying cushion on top was a little too plain. (It is the same beige color as the trimming on the fabric bins). 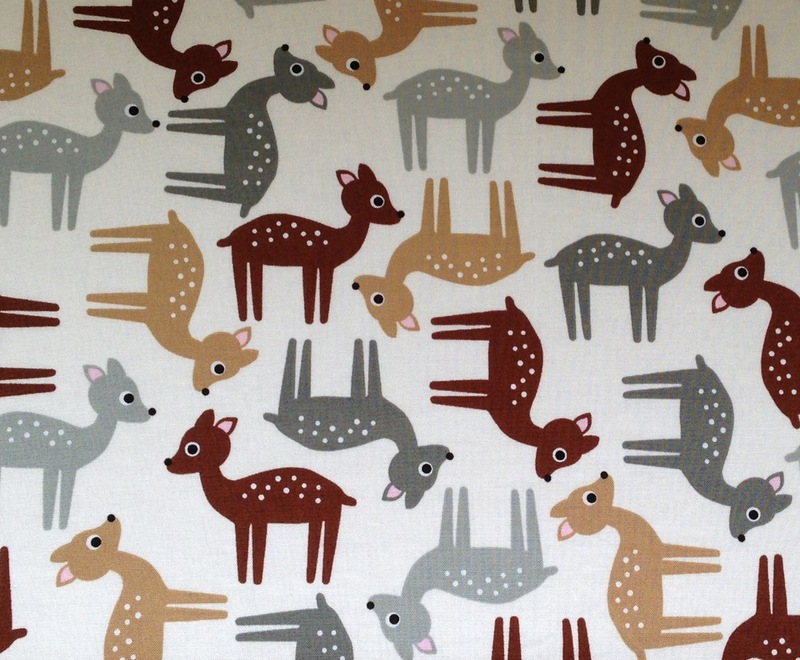 The cute deer fabric is from the Woodland Pals collection by Robert Kaufman. I purchased it at Stonemountain and Daughter in Berkeley. I cheated by faking seams to minimize cutting. The edges you see are really one continuous piece of fabric pinched together and sewn on the blank side, instead of 2 pieces of fabric sewn together. This makes me look a little better at pattern-matching than I really am. Basically I ended up with a tube that slipped over the cushions, and then I tucked the edges in the same way you would wrapping paper on a present. The sides were then sewn down by hand. This was a quick project that required only 2 yards of fabric, and I had a gift card, so the total cost was $0 out of pocket. Posted in Nursery and tagged crafts, nursery, sewing. Bookmark the permalink.